In this case the court held that certain demand provisions were not limited by the duty of good faith because that duty does not create a new substantive contract provision. Instead, it comes from the underlying contract obligations. Therefore, a bad faith claim cannot stand alone. It must specify which contract provision the other party did not perform in good faith. GMAC and Everett Chevrolet (“EC”) signed a Wholesale Security Agreement (“WSA”) and a Revolving Line of Credit Agreement (“RCLA”). Both agreements contained provisions with demand language. The court found that both provisions were valid, enforceable demand obligations. A demand obligation is not limited to the context of a promissory note. GMAC had the right to demand payment at any time for any reason or for no reason at all. The court upheld Badgett v. Security State Bank, 116 Wn.2d 563, 807 P.2d 356 (1991) and clarified it further. In Badgett, the plaintiffs sued their bank after it refused to restructure their agricultural loans. The Badgetts wanted to participate in the federal government’s Dairy Termination Program and began re-negotiations with the bank. When those negotiations failed, the Badgetts sued the bank for unreasonably refusing permission to participate in the program. The WA Supreme Court held that the bank had no duty to re-negotiate. In fact, “[a]s a matter of law, there cannot be a breach of the duty of good faith when a party simply stands on its rights to require performance of a contract according to its terms.” Badgett, 116 Wn.2d at 570. EC tried to distinguish Badgett by arguing that GMAC’s ability to enforce the demand provision was limited by its duty of good faith because its conduct stemmed directly from the rights and obligations expressly stated in the WSA and RLCA. The court was not persuaded. EC’s claims still fell short of the standard set out in Badgett. Instead of identifying a specific contract claim that GMAC violated, EC made only general claims about their rights in the agreements as a whole. 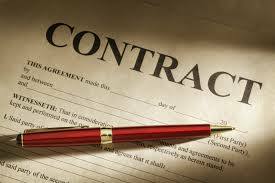 If a party has not violated a contract provision then they have not acted in bad faith.